How To Root Samsung Galaxy Ace Running Android 2.3.6 ! Samsung Galaxy Ace is popular Mid-range Android phone. 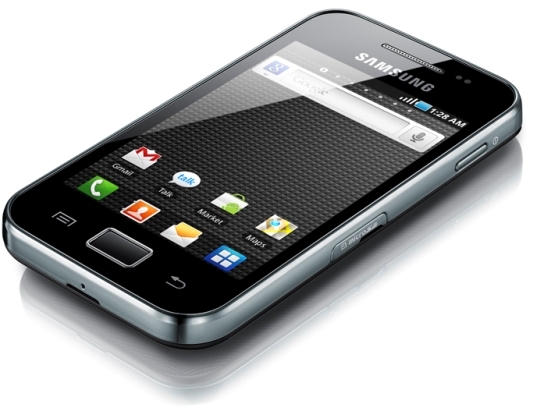 The Galaxy Ace get popular because of its Processing power which is not available in its nearest competitor HTC Wildfire S. In this guide I am going to explain how to root “Samsung Galaxy ACE ON Android 2.3.6 “. The method is simple and after the rooting you’ll get access to core files and more control over full system. This method will only for Galaxy Ace running on Android 2.3.6, if you’re on Android 2.3.5 than please visit this tutorial to root your phone. What Are The Advantages of Rooting ? The samsung galaxy ace running Android version 2.3.6. Download the root file here. Copy the upd.zip file to your sd card. Turn off your device . Put your Phone in recovery By pressing Middle key + Power Key. Now your phone will boot in recovery In recovery mode touch screen will not work You Have to use volume down/up keys for scrolling and middle key to select an option. Now scroll to apply update from sd card and select the file that we copied. wait until the confirm screen ,confirm it. It will take 2 or 3 seconds. Once Installation is completed choose reboot in normal Mode. If You Are still confused Then Watch This Video Tutorial that I have created. Enjoy Your successfully Rooted Galaxy Ace…! thanx for the info ….wat about unrooting ??? is it possible?? hey u sure this ll work on galaxy ace 2.3.6 ?? hav u tried it? ?